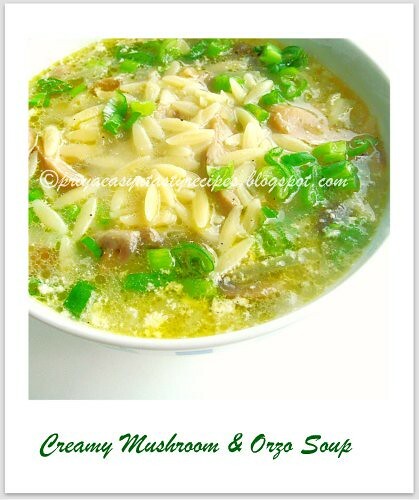 Orzo is a kind of pasta which looks exactly like rice and they are quite used in soups or for making risottos..I love mushrooms as anything, thats why i combined both mushroom and orzo together in a soup, this soup tastes marvellous, filling and quite a wonderful soup to enjoy for a simple dinner..I used two tablespoons of low fat cream to this soup to give simple soup,you can completely skip the addition of cream in this soup..You can also serve this soup even for lunch coz of the addition of orzo pastas...Warm comforting soup to enjoy without any hesitation..
Heat enough olive oil, saute the chopped onions until they turns transculent, add immediately the chopped mushrooms,salt and cook for few minutes, add now the vegetable stock,water with pepper powder and bring to boil..
Add the orzo pasta to the cooking broth,cook in simmer until the pasta gets cooked, finally add the cream and spring onions..serve warm with toasted breads..
Wash the sliced sweet potatoes and spread them for few minutes over a kitchen towel, heat enough oil, drop gently the slices one by one and fry until they turns crispy, remove the chips from oil and add the red chilly powder and salt, give a quick toss and continue frying the remaining uncooked chips..
Conserve in a air tightened box and enjoy munching.. 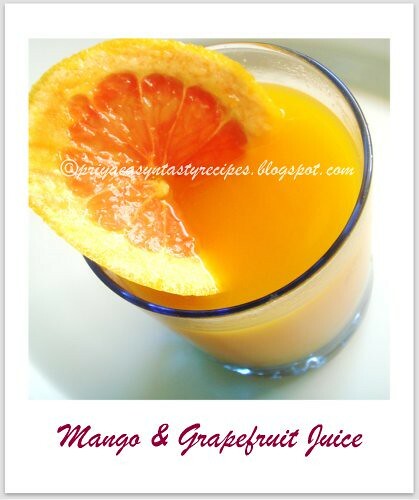 I never knew that both mango and grapefruit works out wonder together as juice, i tried out making this juice and served chilled, as it was quite hot here today...This juice tastes truly different with mild sour taste and the sweetness of mango completely masked the grapefruit juice and we enjoyed having it, also i skipped the sugar and used agave syrup to give the sweetness to this wonderful juice...Give a try friends, am damn sure you all will definitely enjoy this combo..
Usually barley water is prepared by cooking barley grains in water, which later on either spiced up with ginger, cinnamon powder or else fresh juices like orange,lemon or lime...This barley water is very much known for this health benefits, a wonderful remedy for urinary problems, also its recommended to pregnancy women to take in quite often especially during the last three months of pregnancy..Barley water is a great source of magnesium, which reacts with many different enzymes that involve glucose levels in the body. 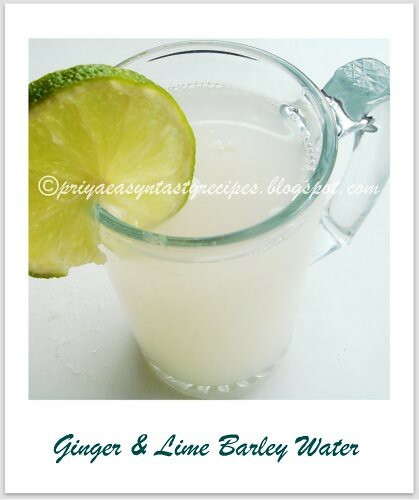 This can help to reduce the risk of Type 2 diabetes.The fiber that comes from barley water is also known to lower cholesterol.Drinking a glass of barley water almost everyday will helps a lot for digestion...I prepared some barley water which i spiced up with ginger and lime juice two days back, the addition of ginger and lime juice turned out this barley water more flavourful,healthy also as a prefect drink to enjoy during this hot weather..
Cook the barley in hot water, bring to boil and put the flame in simmer, add the crushed ginger,lime rinds to the cooking barley and let it cook for half an hour or use pressure cooker for quick cooking, put off the stove...Let it sit for few minutes,until they gets cool..
Strain the water from the cooked barley, add the lime juice, sugar or honey as per need, give a stir and serve chilled or with ice cubes..
Cant believe its already our last day of blogging marathon, its gonna be three weeks am running blogging marathon with my other buddies with three different themes, needless to say you guys would have already noticed that i couldnt stop posting sweets throughout this week as i choosed Indian sweets as theme for this week of blogging marathon...Thanks to Srivalli, i enjoyed running three weeks of blogging marathon thoroughly.. 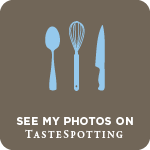 Most of us know that i love wholegrains very much, after oats and barley my favourite whole grains are quinoa, i tried making many bakes and fusion dishes using this wonderful grains.. 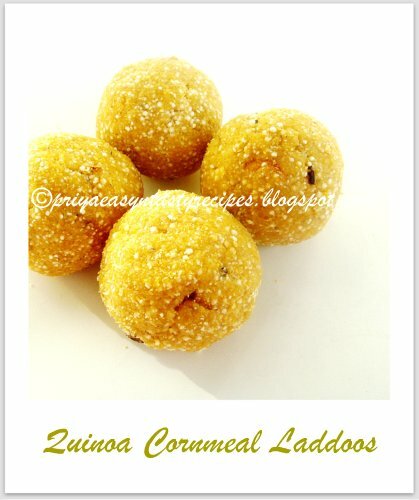 I wanted to make some laddoos with this grain since a long that too as a quick and easy laddoos which goes for easy breezy preparation, finally tried them yesterday by combining quinoa and yellow cornmeal together, these quick laddoos turned out super delicious, if you like rava laddoos you will definitely love this cute looking quinoa and cornmeal laddoos surely...I couldnt stop munching this beauties,yep they were quite addictive and delicious..Am so happy to see these quinoa laddoos vanished within few hours...I went for a coarse powder of quinoa for making this laddoos if you want to make smooth laddoos, just grind them more or else sieve the grounded powder..Watever this laddoos are our recent family favourite..
Roast the quinoa & cornmeal separately for few minutes in a warm pan until a nice aroma comes out...Grind the roasted quinoa,cornmeal,cardamoms,sugar together as a fine or bit coarse powder,meanwhile heat the ghee and roast the cashew nuts until its turns golden brown, add the grounded powder to the hot ghee and nuts,springle the milk as per need and make medium sized balls from this mixture..Store it in a air tightened box..
Citrus flavoured cakes aren't that much liked by my family members until i tried Eggless Lemon Poppyseeds Muffins long back, now i can make watever with lemon or lime..While going again through Deeba's Passionate about Baking, i got this fantastic pound cake which totally sounds prefect for me immediately, to put my hands again in making citrus flavoured bakes...Without any hesitation i prepared making this cake two days back for our snacks,i enjoyed making and while baking the aroma of this cake filled my home with a beautiful smell..Its quite an easy breezy cake, which gets ready very quick and also gets vanished quickly..We loved this cake very much..Loved the lemony sugar glaze over this cake eventhough i didnt prepared them much coz i know none at home will love this glaze,yep i wasnt wrong my teddies just removed the glaze before enjoying their cake...Thanks a ton to Deeba again for this beautiful,spongy and fabulous cake. 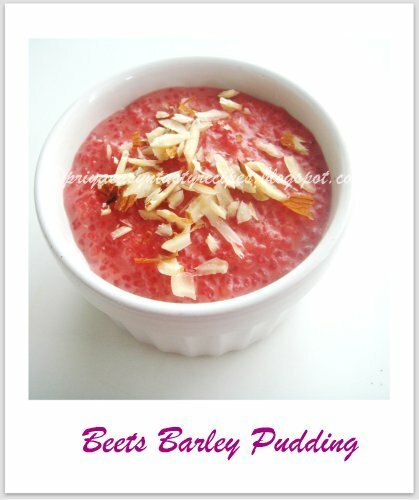 Mix together the sugar and juice and turn as thick glaze, if its thin add more sugar..
Cook the barley meal with milk until they get cooked completely,meanwhile grind the cooked beets along with the condensed milk as fine paste..Add the grounded paste to the cooking barleymeal, cook for few seconds, finally add the ghee,cardamom powder and put off the stove.. 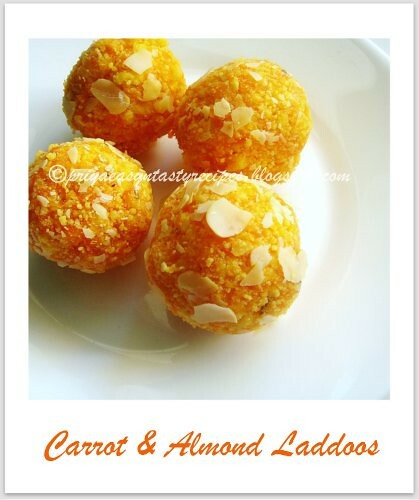 Serve warm topped with almond flakes..Enjoy.. 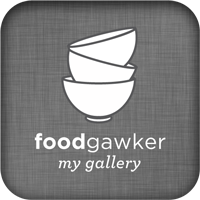 Check out the Blogging Marathoners doing BM#5 along with me.. 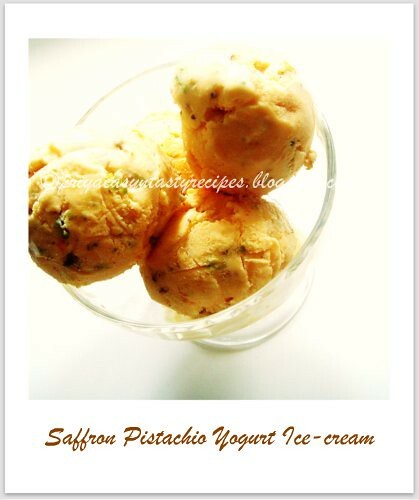 While going through Deeba's Passionate About Baking, i got hooked with this highly addictive, rich looking,nutty icecream which i bookmarked immediately and tried it two days back with hung yogurt..I have to say a big thanks to Deeba who doesnt need any introduction as she is very much famous for her stunning clicks and fabulous bakes,for sharing this delicious icecream which turned out super prefect,smooth and fabulous, i skipped the saffron caramel which Deeba shared with us to serve along with the icecream while serving and prepared this icecream exactly as she went for..Also you doesnt even need an ice cream maker for preparing this icecream and its eggless watelse we need...Definitely a guilt free icecream to relish without any hesitation..Everyone at home loved it and we finished this icecream within two days,we enjoyed it that much...Sending to Tried & Tasted guest hosted by Jayasri,event by Lakshmi & to Jay's Lets Relishh - Icecream & finally to Only - Icecream guest hosted by Reva, event by Pari..
Heat the low fat cream, saffron together in a pan and keep aside,let them get cool completely..beat the hung yogurt until they turns smooth, add the saffron cream,sugar and beat everything well, pour this mixture in a box and freeze them, beat every hour to break the crystals.. After 5 hour, beat the mixture well and fold the chopped pistachios well..Leave it again in freezer for overnite..
Never thought of making laddoos with carrots and almonds until i tried out this combo two back for our evening snacks, as i wanted to give a trial i prepared a small quantity of this laddoos with finely grated carrots and almonds with some ricotta cheese,milk powder and sugar..This laddoos gets ready super fast and vanished quickly also..Seriously i couldnt stopped munching this healthy,easy breezy and nutty laddoos, even my teddies enjoyed it a lot..Carrot gives a wonderful colour and almonds give a fantastic nutty texture and while ricotta cheese and milk powder helped a lot for binding the carrots and almond meal..A fabulous and colourful laddoos to enjoy without any guilt..Sending to Anamika's Drive Me Nuts..
Heat the ghee in a heave bottomed pan, add the grated carrots and saute for few minutes, add immediately the sugar, ricotta cheese,milk powder to the carrots and cook everything in high flame until the carrot -cheese mixture gets slightly thickens..Add now tha almond meal,cardamom powder,cook for few minutes until the mixture gets off from the bottom of the vessel and put off the stove..
Make 7-8medium sized balls from this slightly cooled mixture and roll over the almond flakes..Enjoy! 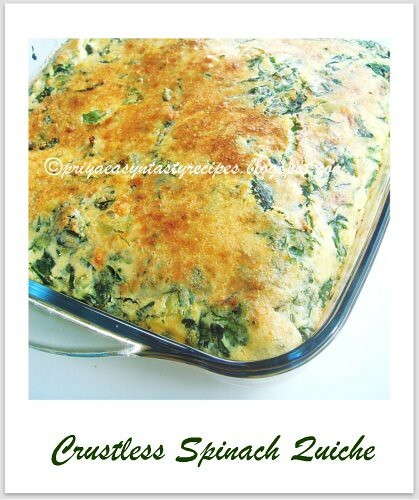 Quiche is a kind of oven baked dish usually made with eggs,milk,veggies or greens in a pastry crust..Its a open pie mostly prepared as savoury version where you can add even meats or seafoods..They can be eaten for breakfast,lunch or dinner, also can be served chilled or warm its depending upon ur wish..French peoples makes variety of quiches,the most popular and famous quiche is quiche lorraine prepared with bacon,onions,cheese,eggs and cream..My version of spinach quiche goes for neither pastry crust nor cream, i simply prepared this quick,easy,healthy also at the same time a filling quiche just with chopped spinach,milk,eggs,onions,flour and some parmesan cheese..This quiche served along with some lettuce salads turned out our dinner absolutely delicious,healthy and filling...Even whoever says no to spinach, will definitely love this quiche..Wat a fabulous way to sneak this wonderful green na. 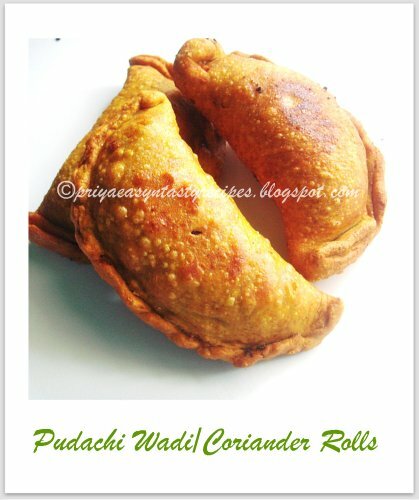 Heat enough oil, saute the onions until they turns bit transculent, add the chopped spinach,salt and pepper powder,cook for few minutes and put off the stove..Preheat the oven to 350F...meanwhile whisk the eggs,milk,flour,dry herbs in a bowl..add the cooled onion-spinach mixture to the whisked egg mixture and pour in a greased mould,sprinkle the parmesan cheese as per need..Bake for 15-20minutes in middle rack.. 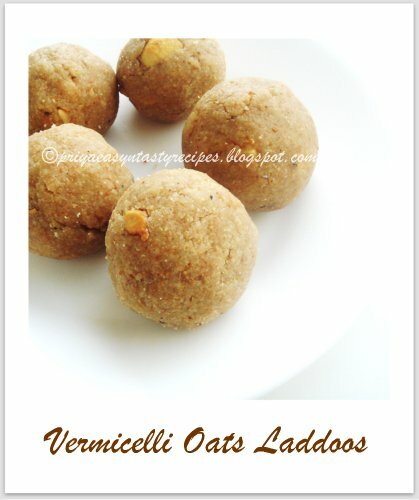 Serve warm with a soup or salad..
Are you surprised to see how vermicelli and oats together makes this wonderful looking laddoos, guess wat even i doesnt know that this combo works out wonder until i tried them making yesterday..These cute looking laddoos are truly addictive,i couldnt stop munching them...They gets ready quite easily,needless to say that they are truly fabulous,quick and delicious sweet balls to enjoy anytime.. As these laddoos gets ready in less time they suits prefectly even as a festive sweets also why not for a special occasions..Adding oats to this laddoos makes more healthier also i have completely skipped the ghee and fried the cashews in microwave oven without ghee and used milk to makes this balls..Obviously this laddoos are guilt free, healthy to enjoy without any hesitation..Do try friends, am damn sure you will love this yummy cute balls..
Roast the vermicelli and oats separately for few minutes in a warm pan.. 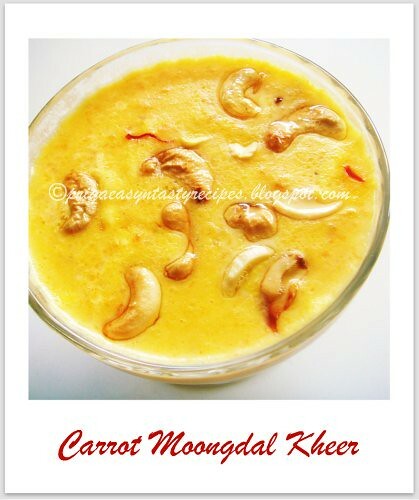 Grind the roasted vermicelli,oats,cardamoms,sugar as a fine powder,meanwhile arrange the cashews in a microwave safe plate and roast the cashew nuts until its turns golden brown for 3-4 minutes in high power. 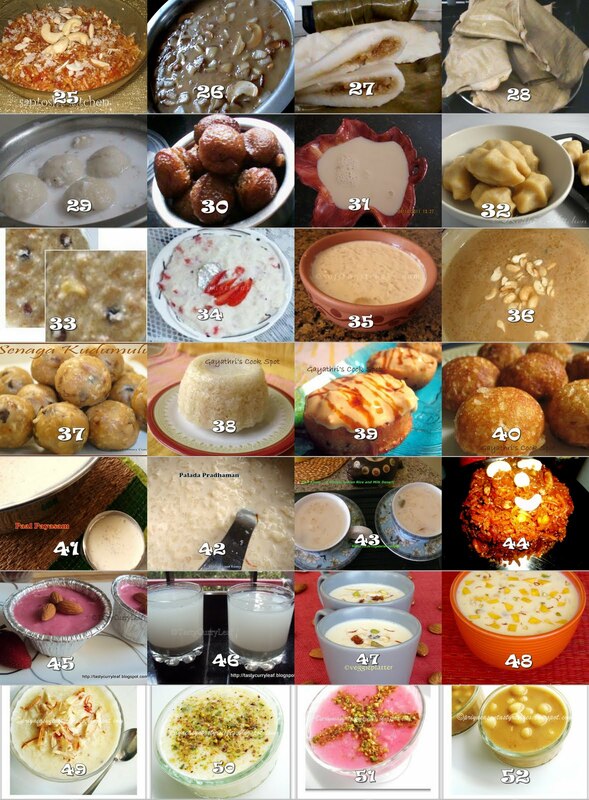 Take the grounded vermicelli,oats-sugar powder and nuts,springle the milk as per need and make medium sized balls from this mixture..Store it in a air tightened box.. 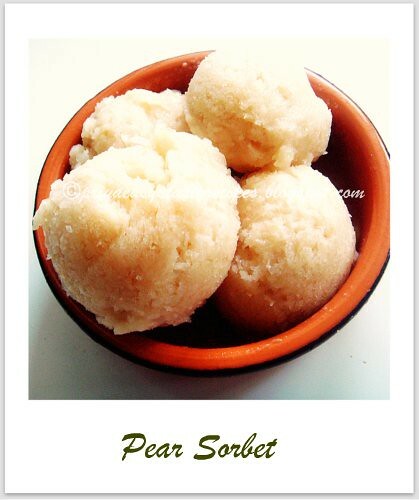 Serve the pear sorbet as scoops and enjoy! We dont need any special reasons for making some special sweets whenever we feel like enjoying them na, i was craving for kheers especially the kheers prepared with dals... 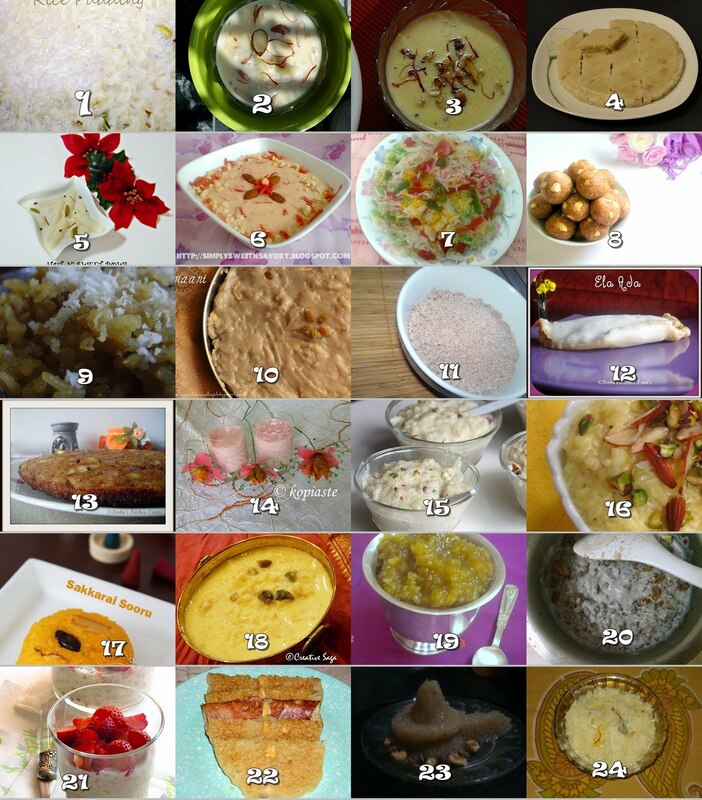 Without any hesitation i prepared this wonderful looking kheer yesterday just to satisfy my sweet tooth, this kheer gets ready quickly as i went for pressure cooking..Instead of cooking the dals and veggies in a pan, i pressure cooked them both together and cooked the mashed paste in milk, sweetened condesned milk with some fried nuts and ghee, definitely a delicious and quick kheer which suits prefectly for a special occasions..Adding carrots to the kheer gives definitely a beautiful colour to the kheer also healthy..I enjoyed this kheer chilled as a dessert and just loved it..Sending to Harini & Jaya's Design A Menu..
Pressure cook the chopped carrots and washed moongdal together for 3 hisses,once the steam get released mash the cooked carrot pieces and dal as thick paste..Bring boil the milk ,saffron strands with sweetened condensed milk together, add immediately this dal-carrot paste, cook for few minutes.. 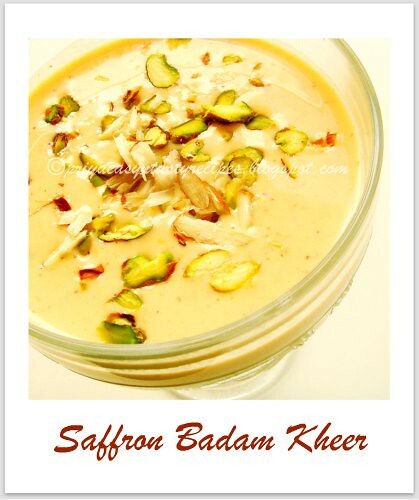 Meanwhile fry the cashews in ghee until they turns brown, add this fried nuts with the ghee,cardamom powder to the cooking kheer and put off the stove..Serve warm or chilled.. 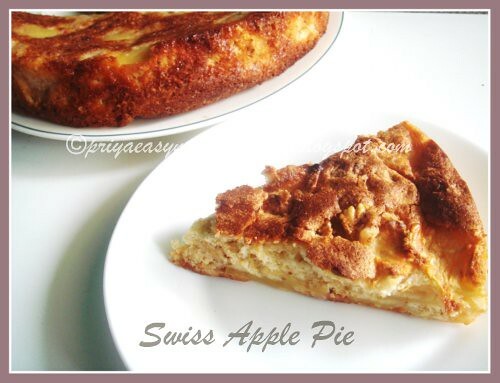 I was planning to make some easy breezy tart or pie using some golden apples sitting sadly in my fruits basket, while searching for a quick,easy and delicious pie, i got hooked with this fantastic,easy pie from Taste Of Home, immediately the same day evening itself i prepared this super delicious, addictive pie, we just loved it..Its quite an easy pie which doesnt need any pastry crust or any special care, just mix all the ingredients and pour in a greased bowl and bake them,your pie is ready to enjoy, easy na...Obviously the final result was tremendous and this pie vanished within few minutes, we loved this pie warm topped with a scoop of vanilla icecream..Sending this pie to Priya's & Aipi's Bookmarked Recipes and to AWED-Swiss guest hosted by Vanessa,event by DK & Anamika's Drive Me Nuts.. 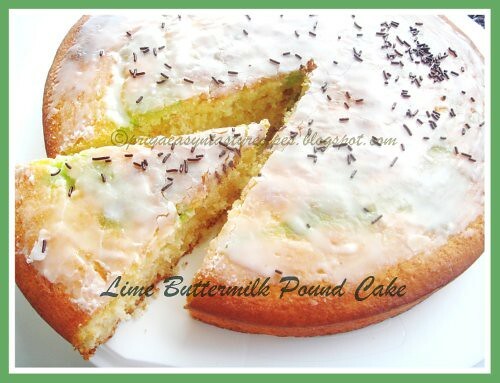 In a mixing bowl, whisk the eggs,sugar, vanilla,meanwhile mix the flour,baking powder and salt, add gradually to the wet ingredients until the get well mixed, add the apples,walnuts to the mixture,give a quick stir and pour the batter in a greased round mould..
Bake for 30minutes or until a skewer inserted comes out clean..cool and enjoy with chocolate sauce with a scoop of vanilla icecream..
Roast the sago for few minutes along with cardamoms in a warm pan...Grind the roasted sago,cardamoms,sugar as a fine or bit coarse powder,meanwhile heat the ghee and roast the cashew nuts until its turns golden brown, add the grounded sago-sugar powder to the hot ghee and nuts,springle the milk as per need and make medium sized balls from this mixture..Store it in a air tightened box..
Am sorry for posting this sweets with rice roundup very much late eventhough i have already finished this roundup and drafted it last week, but unfortunately that day blogger went down and i couldnt able to post it immediately coz it took few days for me to get back this drafted post from the blogger, then as am run blogging marathon i was bit busy in posting my recipes which i cooked up for blogging marathon, that why i couldnt able to post as soon as possible this sweet delicious and beautiful roundup..Hope you guys will enjoy going through this fantastic roundup and obviously you have loads of fabulous sweets prepared with rice as main ingredients...I have to say a big thanks to my blogger buddies for their wonderful contributions, i got many wonderful,traditional,creative and marvellous sweets for this event..
1)Vegan Rice Pudding from Magpie of Magpie's Recipes..
2)Doodh Paak (Rice Pudding) from Ruplai Nishat of Cooking With Devotion..
3)Pal Payasam from Kalyani of What's Cooking..
4)Kinnathappam-Thrissur Style from Vidhya Jayadeep of Sugar'N Spice..
5)Pal Kozhukattai from Sukanya Ramkumar of Hot N'Sweet Bowl..
6-7)Carrot Kheer & Rainbow Zarda/Qaus-e-qazah from Ambreen of Simple Sweet'n Savoury..
8)Ariyunda from Dhanya Babu of Dhanya's Tasty Flavours..
9)Sweet Aval/Vella Aval from Sukanya of Sukanya's Musings..
10)Mani (Rice Halwa/Pudding) from Shireen of Ruchik Randhap..
11)Kerala Sweet Puttu from Sowmya of Sowmi's Kitchen..
12-13)Ela Ada/Vazhayila Ada & Kalathappam in Pressure Cooker from Rinku Naveen of Rinku's Kitchen Treats..
14)Rozotto (Pink Rice Pudding) from Ivy of Mint,Cinnamon & Blossom Water..
15)Rice Pudding from Akheela of Torviewtoronto..
16)Paal Payasam/Rice Pudding from Sush of Savi-Ruchi..
17)Sakkarai Sooru (Sugary Rice) from Cham of Spice-club..
18)Brown Rice Payasam from Sowmya of Creative Saga..
19)Nei Payasam from Kaveri of Palakkad Chamayal..
20)Brown Rice Pongal from Richa of Ambrosia..
21)Strawberry Rice Pudding from Nashira of Plateful..
22-24)Rice & Jaggery Pancakes,Sweet Coconut Rice& Payesh (Rice Kheer) from Nivedita of Nivedita's Kitchen..
25)Carrot Sweet Rice from Santosh Bangar of Santosh's Kitchen..
26-30)Ari Payasam/Kerala Rice Kheer, Ilayappam,Chakkayappam,Mani Puttu & Unniyappam from Dhyuhi of Mélange..
31)Kerala Paal Payasam from Priya of Elaichii..
32)Pidi Kozhukattai from Krithi of Krithi's Kitchen..
33)Rassiya (Sugarcane Juice Kheer) from Sona of Veggie Foodie..
34-35)Strawberry Firni & Rice Pudding With Date Jaggery from Sukanya of Saffronstreaks..
36)Rice & Coconut Payasam from Krithika of Foodieworkz..
37)Black Chickpeas/Senaga Kudumulu from Sravani of Srav's Culinary Concepts..
38-40)Vattayappam,Paneer Mousse Served In Rice Cups & Sweet Paniyaram from Gayathri of Gayathri's Cook Spot..
41-42)Paal Payasam & Palada Pradhaman from Lata Raja of Flavours and Tastes..
43)Rice Kheer from Rani Acharyulu of Home Made Vegetarian Recipes..
44)Kanika from Mugdha of Cooking Fundas..
45-46)Strawberry Phirni & Chilled Cinnamon Horchata from Sweatha of Tasty Curryleaf..
47-48)Kheer & Mango Saffron Phirni from Suma Gandlur of Veggie Platter..
49-52)Paal Payasam,Nutty Rice Kheer,Vegan Rose Rice Pudding & Paal Kozhukattai from me..
Am running my third week of blogging marathon with Indian sweets as theme, hope you guys would have enjoyed many curries and kid's delight colourful foods for the past two weeks of blogging marathon, stay tuned friends this week its gonna be a sweet week..Yep i will be posting many delicious and fantastic sweet dishes during this whole week...Needless to say that am enjoying this blogging marathon and chitchatting with my other blogger buddies who runs blogging marathon with me..
Badam kheer is quite a delicious and sweet drink prepared with grounded almond paste along with thick milk,sugar and saffron strands...This is a fabulous milk based deesert which is quite often served chilled in many occasions, i had this wonderful drink long back and this weekend i prepared this fantastic and nutritious drink with more saffrons,chironji or charoli (saara paruppu in tamil)...I dont need to talk or say more about this wonderful and rich looking kheer coz most of us would have enjoyed this drink atleast once in our life...Instead of making this kheer over stovetop, i prepared this creamy and delicious saffron badam kheer through microwave oven and obviously this kheer turned out super delicious and fantabulous,please note that cooking time may varies according to your microwave oven power.....We enjoyed this saffron badam kheer chilled which suits truly tremendous for this hot weather and we relished it happily..To know more about chironji, pls do check here..Sending to MEC-Calcium Rich Food guest hosted by Lakshmi,event by Srivalli & Anamika's Drive Me Nuts..
Take the almonds, chironji with enough water separately in a microwave safe bowl,cook for each for a minute in high power and keep aside..Peel the skin of almonds and chironjis..Grind them with enough milk as a smooth paste..Meanwhile heat the milk in a large microwave safe bowl with saffrons for 5-6minutes in high power (stir thrice in between),add the sugar,almond-chironji paste,sugar, cardamom powder and heat again for 5minutes in high power(dont forget to stir in between)..Allow it to cool,arrange in fridge atleast for 2hours and serve it chilled .. I crossed this quick and easy breezy side dish with bottlegourd from Sandeepa's Bong Mom Cookbook, i immediately bookmarked this simple and quick bottlegourd curry from her space and tried out this delicious curry this weekend...I totally got hooked the simplicity of this wonderful looking curry, which tastes marvellous when served along with rotis as well as with rice...This dish goes for bottlegourd chunks cooked with milk along with simple spices..Obviously, its quite light,mildly sweet curry to enjoy for a simple lunch..Sending Flavors of Bengal guest hosted by Priya,event by Nayna..
Take the bottlegourd chunks with salt but without water in a vessel..Once its starts cooking, the bottlegourd chunks release enough water..Cook until the water gets evaporates..Make a white paste with milk and all purpose flour..add this paste to the cooked bottlegourd chunks and mix gently.. 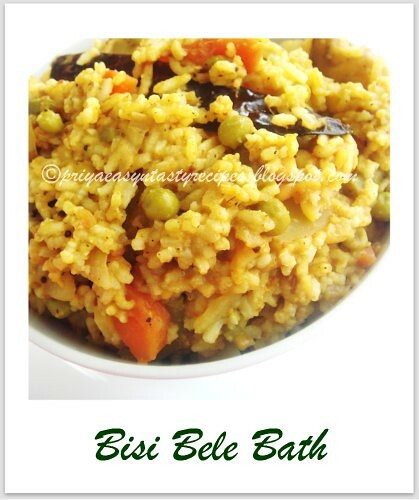 Meanwhile heat the ghee, fry the bay leaf,cardamom,cinnamon stick,broken dry red chillies and cumin seeds, add this tempered spices to the cooking veggies,stir and cook for few minutes, finally add the sugar and salt to veggies, cook until the water gets evaporates..Serve it topped with grated coconut or crumbled fried papads.. 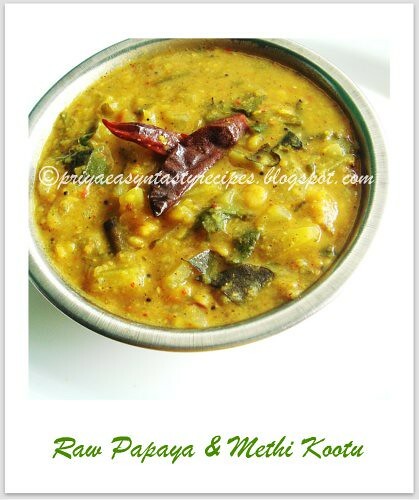 It has been ages i prepared dishes with raw papaya, last weekend i got a wonderful opportunity to pick some fresh raw papaya from Indian grocery...Back home, i peeled their skin and freezed some papaya chunks in freezer for further uses, also i prepared this super quick,healthy and easy breezy kootu with raw papaya and methi leaves, we enjoyed this thick and delicious kootu with hot steaming rice and spicy potato roast...I prepared this healthy kootu with a wonderful spicy powder using some flax seeds and oats with usual spices, which turned out this yummy kootu more healthier and i completely skipped the coconut which i usually add in most of my kootu recipes...I prepared this healthy kootu through pressure cooker which helped a lot for quick cooking and this dish gets ready in less than 20minutes, a quick and healthy kootu to enjoy without any guilt...Sending to CWF-Toordal guest hosted by Suma,event by Kiran..
Dry roast all the spices, rolled oats one by one and grind as fine powder,keep aside..Heat enough oil in a pressure cooker,add the chopped onions,chopped tomatoes,grated ginger,saute everything until the veggies get well cooked..Meanwhile wash the toordal,channadal together and keep aside..
Add the chopped raw papaya to the cooking veggies, saute until the veggies gets partially cooked, add the methi leaves and cook for few seconds...now add the washed dals with turmeric powder and salt,add enough water and cook for three whistles..
Once the steam get released, add enough freshly grounded spice powder to the cooked veggies-dal mixture, bring everything to boil..Meanwhile heat enough oil in a pan, fry the mustard seeds,urad dal,dry red chillies,curry leaves until they turns brown, add this tempered spices to cooked kootu and put off the stove..
Summer fruits started showing their heads in my farmer's market, i couldnt stop buying strawberries, raspberries, peaches,abricots etc..So obviously my fruit basket i full of variety of fruits, since the weather is getting more and more hot nowadays i wanted to make some delicious icecreams with some fruits, after many hesitations and discussions i finally decided to make some eggless icecream with peach puree,mascarpone cheese,heavy cream with sugar..I used mascarpone cheese for the first time for making a smooth and delicious icecream, for my surprise this icecream turned out super delicious,soft and extremely addictive..We didnt stop having this eggless fabulous peach icecream,truly with few ingredients this icecream turned up super prefect..Will definitely gonna make variety of icecreams with different fruits and mascarpone cheese in future..Sending to Pari's Only - Icecream guest hosted by Reva and to Jay's Letz Relishh-Ice cream..
Peel the peaches and cut them roughly,cook the peaches with 2tbsp of sugar and a pinch of salt, cook until the peaches turns soft, blend the softened peaches as a smooth puree and keep aside..
Whisk the heavy cream,sugar until the sugar gets well dissolved, now add the already prepared peach puree and mascarpone cheese,whisk everything well..Pour this mixture in a box or stainless steel bowl, after an hour take out the slightly forzen icecream in a blender,beat for few minutes, pour again to the box and let them sit in freezer for overnight.. 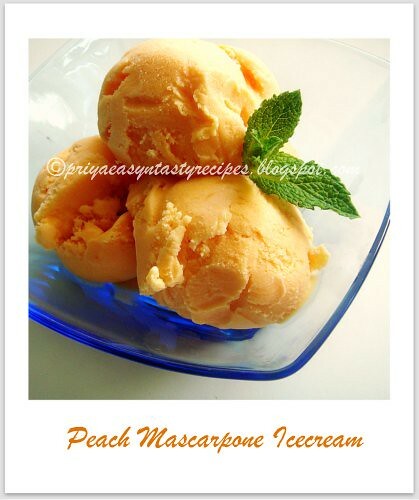 Enjoy this smooth and creamy icecream anytime.. 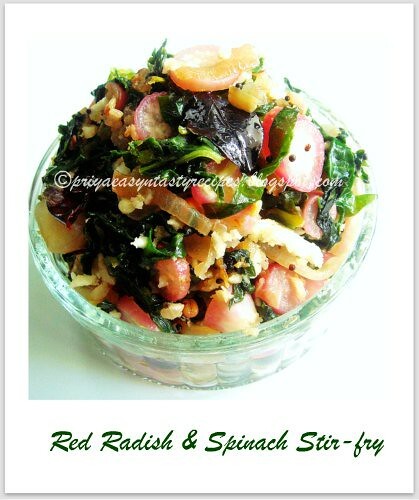 I combined red radish and spinach together for the first time for making this quick,simple and healthy stir fry,for my surprise this combo turned out super delicious and we loved it..This stir fry gets ready truly in less than 15 minutes, usually we used to have red radish in salads or directly as a starter with butter and salt, as these red radish are very tender to enjoy raw, they gets cooked easily while cooking and obviously spinach also doesnt need to get cook for a long,thats why both together as stir fry gets ready simply very quickly...Serve this stir fry simply with rasam or curd rice, am damn sure that you will definitely have a wonderful,healthy lunch..Sending to Priya's A Veggies for a Month - Spinach guest hosted by Reshmi..
Heat enough oil,fry the mustard seeds, urad dal,broken dry red chillies, few curry leaves, add immediately the chopped onions,slit opened green chillies, saute until the onions turns transculent..Add the chopped red radish,salt,cook everything for few minutes until the red radish get partially cooked, add the chopped spinach, cook everything simmer until the veggies and greens get well cooked.. 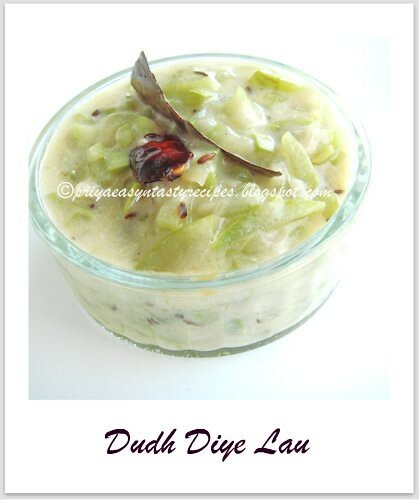 Finally add the grated coconut,give a quick stir and put off the stove..Serve warm as side dish.. 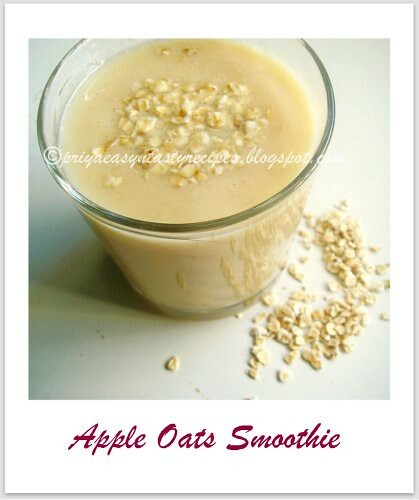 If you need a filling,quick,easy breezy and healthy smoothie, you have to give a trial to this delicious apple and oats smoothie..A fabulous drink to enjoy without any guilt, that too when you dont have time to make your usual breakfast, needless to say this smoothie is quite thick and filling all coz of the addition of oats and almonds..A healthy drink which suits prefectly to any ages, just skip the sugar for the aged peoples and add some honey or agave syrup instead of sugar...We happily had this smoothie for our today's breakfast and my teddies loved it..A fabulous smoothie to kick start our day na!.. 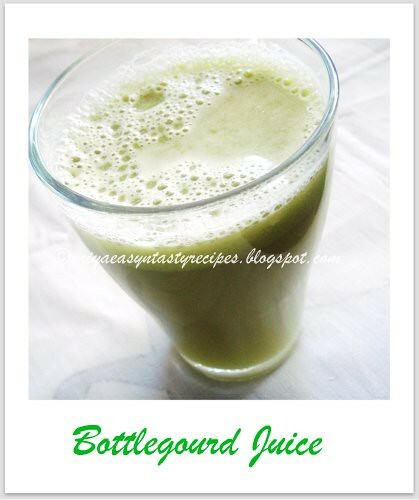 Blend together the apples,oats and almonds with sugar and chilled milk until they turns as thick smoothie..Serve it immediately..I didnt used the blanched almonds, if you dont want to add the almonds you can skip them..
Also if you dont have chilled milk, you can add some ice cubes to this smoothie..
Heat enough oil,lets crack the mustard seeds and cumin seeds with curry leaves, add the chopped onions,chopped tomatoes,crushed garlic cloves and saute until the veggies turns mushy, add the green peas with salt,cook for few seconds..Now add the chopped brinjals,saute for few minutes, finally add the sambar powder,sukka spice powder,springle some water and cook with lid for 5 minutes, remove the lid and cook for another few minutes until the oil gets separates.. 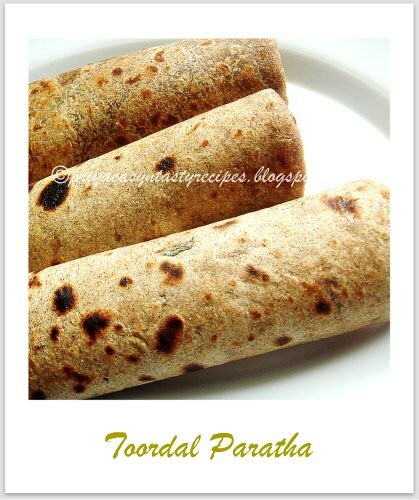 I love to make varieties of paratha either by combining greens or veggies or else both veggies and greens together and i rarely make parathas with dals, since ever i tried out Dal Masala Paratha, i was planning to make some parathas with toor dal and finally i prepared them today for our dinner, this parathas turned out super soft and we loved it..I just added some ajwain seeds,kasuri methi, cumin seeds along with cooked dal and wheat flour to prepare this wonderful looking parathas, i just served them with vegetable kurma for our dinner and both together turned out dinner simply filling,healthy and marvellous...Sending to Srivalli's Breakfast Mela & to Kiran's CWF-Toordal guest hosted by Suma..
Heat few drops of oil in a tawa, drop gently the flattened paratha,cook the paratha on both sides, drizzle oil if needed..serve with any sort of spicy side dish.. 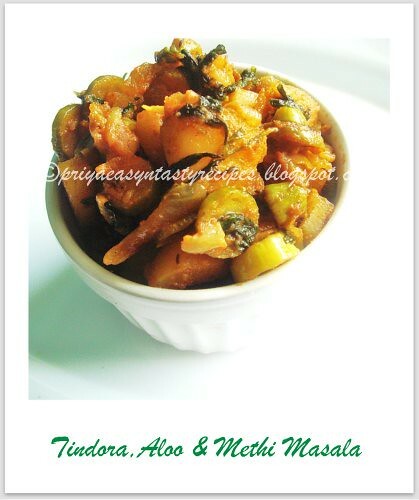 I never combined tindora/ivygourd with aloo ever, i tried out making a quick and simple curry by combing those both veggies along with some methi leaves, for my surprise this combo works out wonder and this masala tastes fantastic as side dish along with rasam or curd rice...Needless to say that this masala gets ready in 15minutes and definitely a wonderful side dish to enjoy with rice or either with rotis..The addition of methi leaves gives a wonderful flavour to this simple masala..An interesting combo to try and taste for the sure..
Heat enough oil,fry the fennel seeds, add the chopped onions,crushed garlic cloves,saute until the onions turns transculent, add immediately the ivygourd pieces,methi leaves and cubed potatoes, cook for few minutes, now add the red chilly powder, coriander powder and salt, cook everything in high flame for few minutes, springle some water..put the flame in simmer and cook until the veggies get well cooked or until the oil gets separates..
Crispy masal vadas with black-eyes peas and spinach suits prefectly for an evening snacks, i prepared few days back this wonderful looking crispy beauties for our lunch and served as side dish for curd rice, we had a wonderful lunch..As i told earlier, i used to soak many beans separately in huge quantities and freeze them for further uses..I have completely forgotten about a packet of black-eyed peas which i freezed long back and while cleaning my freezer i got that pack, immediately i thawed them for making these crispies..We loved it and everyone at home didnt stopped munching these wonderful crispy vadas..A prefect crispy snacks to enjoy with a cup of tea or coffee...Sending to A Veggie for a Month - Spinach guest hosted by Reshmi,event by Priya.. 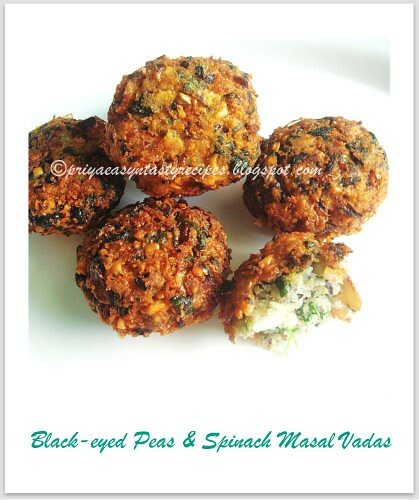 Grind the black-eyed peas coarsely without adding water, if its too hard to grind just springle few drops of water..now add the chopped onions, chopped green chillies, ginger pieces, crushed garlic,chopped curry leaves, coriander leaves, crushed fennel seeds, chopped spinach and salt to the grounded batter..
Heat the oil for deepfrying..make small balls from the vada batter and flatten them..drop gently the flattened vadas to the hot oil and fry until they turns golden brown.. 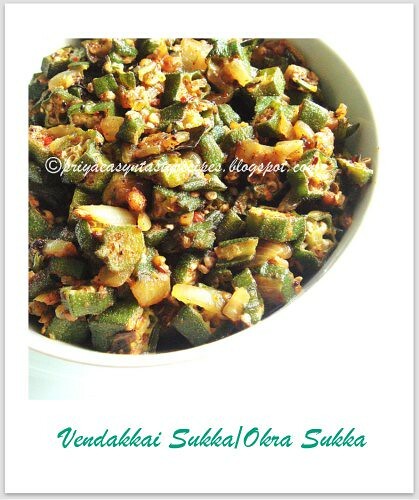 I never stopped to pick fresh okras from Indian groceries as we guys love it in anything as anything...This saturday i simply prepared those okras as this delicious sukka, okra sukka are prepared usually with idli podi instead of usual chilly powder or either with a combination of chilly powder and coriander powder, for a change i tried making a spice powder using coriander powder, mustard seeds,poppyseeds,dry red chillies and dessicated coconut..This sukka tastes fabulous when served along with curd rice..Its such a quick curry,this sukka gets ready in less than 15minutes and whoever says 'no' to this sticky veggies will defnitely love this delicious sukka...Sending to my own event CWS-Mustard Seeds guest hosted by Kiran. 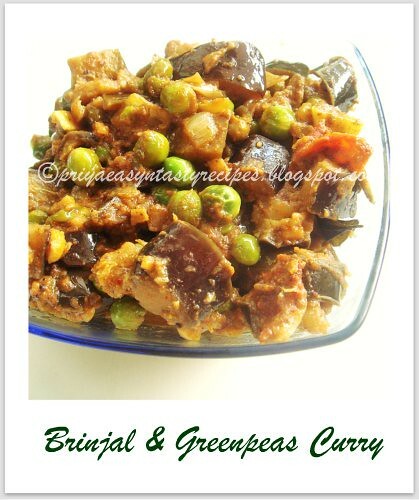 Chop the okras as medium sized bites, heat few drops of oil and fry those okras until they get partially cooked,keep aside..
Meanwhile,roast and grind all ingredients given under the list 'for grinding' as fine powder and keep aside..Heat enough oil,let splutters the mustard seeds,uraddal,curry leaves, cumin seeds and add immediately the chopped onions,ginger garlic paste and slit opened green chillies, saute until the onions turns transculent,add the already cooked okra pieces,freshly grounded spice powder, salt and cook everything in simmer until the veggies gets well cooked..
Peel and cut the bottlegroud as small bites, grind in a mixer with chilled water, strain the juice and add sugar as per need...Keep in fridge for an hour or serve it with ice cubes..
Leeks belong to the onion family, its usually used making soups or quiches..Two days back i tried making a simple sambhar with leeks and tomato together as i run out of onions, the leeks replaced very well the onions and this sambhar turned out super delicious and with fabulous flavour, i served this wonderful looking sambhar for lunch as well as for dinner along with idlies..A prefect side dish to enjoy even with rotis...Do give a trial friends, am damn sure that you will love this unusual sambhar, i served this sambhar with papads and rice for our lunch needless to say both together turned out our lunch prefectly delicious and divine..Sending to CWF-Toordal guest hosted by Suma,event by Kiran..
Heat enough oil, let splutters the mustard seeds, urad dal,cumin seeds,fry the dry red chillies,curry leaves and asafoetida powder,until they turns brown..Add the chopped leeks,chopped tomatoes,salt and sauté everything until the veggies get shrinks..now add the cooked toor dal,sambhar powder, coriander powder,salt and enough water,bring everything to boil,cook the sambhar in simmer until the veggies get well cooked.. 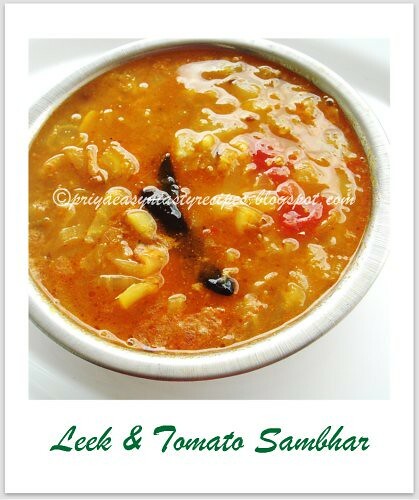 Finally add the lemon juice and put off the stove..Enjoy this sambhar with papads and rice..
Usually i post my Indian Cooking Challenge post everytime earlier but this time i was bit late..Shall i blame the blogger for being down for almost a whole day, may be am was bit lazy to post it earlier, watever i enjoyed very much this month's challeng...Srivalli choosed this wonderful looking coriander rolls from Archana's Tried & Tasted Recipes, we guys have to a say a big thanks to Archana for sharing this coriander rolls,which i never heard or had..I couldnt stop munching this crispy beauties and we loved it...Pudachi wadi is quite famous Maharashtrian typical recipe which goes for a wonderful filling with fresh coriander leaves..Once i fried these rolls, these rolls vanished very quickly and easily when served along with tomato ketchup, needless to say that am gonna make quite often in future for the sure..
Make a soft dough with all the ingredients given under list for covering except the oil for deepfrying, keep aside.. 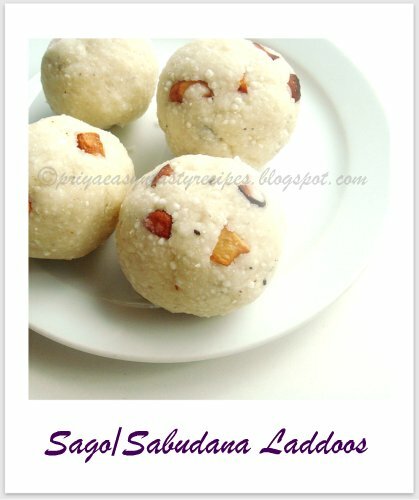 Meanwhile make the paste mixture, by mixing the ingredients given as a paste and keep aside..
Make small balls from the dough and roll them as medium size discs,brush the rolled disc with the paste mixture, place enough the coriander leaves masala, bring the both edges of the rolled discs together, seal well the edges..repeat the same process until the dough get finished..
Cook the prepared rolls slightly in a hot tawa and deep fry them until they turns golden brown in hot oil..drain the excess of oil and serve warm with ketchup..
Who will says 'no' to Bisi bele bath shortly i called it as BBB, love BBB with chips, one of my comforting food..As i do quite often these sort of one pot meal,everyone love especially this BBB anytime, after trying out BBB with bulgur,wheat rava,here comes my usual BBB with rice,veggies and toordal...Of course a healthy food to enjoy either for lunch or for dinner and its completely wholesome and hearty with rice, dals along with plenty of veggies, they tastes absolutely divine when they are served with a dollop of ghee,you can completely skip the ghee if you are a healthnut...I can have this yummy BBB even everyday...My teddies loves this filling yummy BBB with chips,spicy potato fries or either with papads, especially my lil one love to enjoy this BBB with potato fries and he never says no to this wonderful one pot meal..
Heat few drops of oil, fry all the ingredients given under the list for the spice powder,one by one until a nice aroma comes out,cool and grind as fine powder..
Wash the rice and dal together and keep aside...Heat enough oil in a pressure cooker,add the bayleaves,dry red chillies, curry leaves,fry them... now add the chopped onions,chopped tomatoes,cook until the onions turns transculent and tomatoes turns mushy,immediately add the veggies,salt and sauté for few miutes..now add the tamarind extract,bisi bele bath spice powder, a cup of water, cook everything for few minutes..
Stir in the washed rice and dal to the cooking veggies,finally add 5 cups of water,close the pressure cooker and cook for upto 3 whistles,add the chopped coriander leaves to the BBB,give a stir..Bisi bele bath should be watery,but once cooled they will turn as thick paste.. 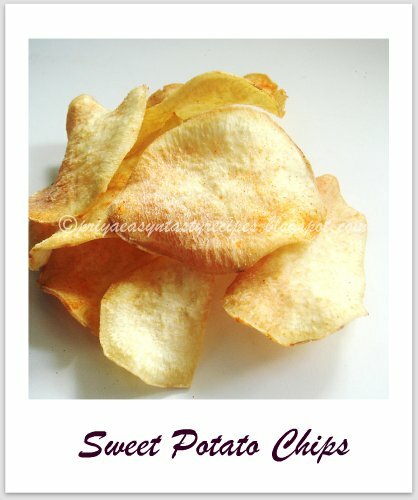 Enjoy BBB with chips,potato fries or papads..